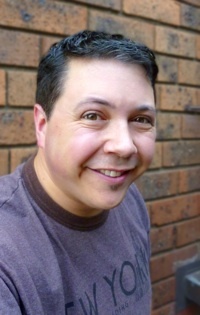 After finishing his BA in Theatre Studies at La Trobe University, Simon started The Backyard Bard by directing Shakespeare's 'Othello' in the 2003 Melbourne Fringe Festival. Since then his focus has been swept up into the wonderful art of Biblical Storytelling and for the last 4 years he has been able to share the stories in God's Word in Primary Schools, High Schools, Universities and Churches through performances, workshops and seminars. In 2006, Simon came 2nd in a National Biblical Storytelling Competition and has directed large-scale Biblical Storytelling productions such as 'The Gospel of Mark', 'Storytelling Judges', 'Daniel' and 'Elijah'.